It’s been over a year in the making and it’s our biggest release yet. We’ve rewritten and refactored almost all of the code and more than quadrupled the number of lines that make up the script. Our goal was simple: Make Storyboard easier to use, and make it a powerful tool for every blogger, not just those who want to put images side by side. So whether you blog like Fer Juaristi or always post single full width images one after another, Storyboard now has features for you (culling, sorting, tagging for SEO, and more). A whole new way to Storyboard. Visually craft your blog post in a web browser. Cull, reorder, combine, sort. Quickly set ALT tag descriptions and file names as you build your blog post. The quickest and easiest way to make your images search engine optimized. This is a premium add-on (learn more). Set aspect ratios for each image that you want to crop. Film shooters who blog a mixture of film and digital, this one is for you. This is a premium add-on (learn more). A new way to build Storyboards from apps outside of Photoshop. 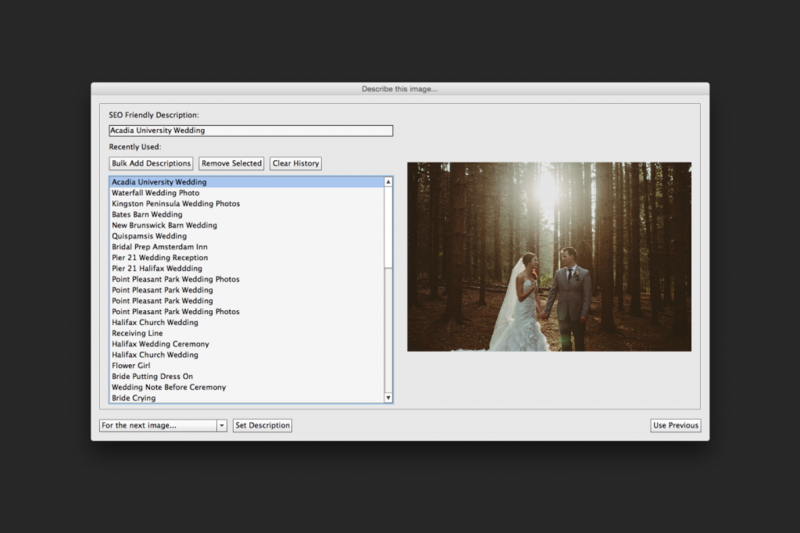 Drag and drop from apps such as Lightroom, Photo Mechanic, and Finder. This is a premium add-on (learn more). New speed settings for a faster workflow. Automate to the max. Advanced settings panel for power users. Existing Storyboard users can upgrade to the new version for the discounted price of $39. But for the first week of launch (until December 20, 2014) save an additional 25% on everything in the store with the coupon SB3ISHERE. To get the upgrade discount, you will need the license key (not your Order Reference number) that was emailed to you when you first purchased Storyboard. If you lost it contact support and we’ll find it for you. If you purchased Storyboard on or after November 1, 2014 get in touch with us as you qualify for a free upgrade. Will you have a update to Storyboard 3 soon? I love it but it could use a few updates to make it better. Just thinking about it quickly, I always create my images as a row, When using the droplet can it just default to that instead of asking me every time. In the old storyboard if you selected to crop all, the crop for the second image would default to the last crop size, I understand it’s different now because you can select the crop sizes in the storyboard dialog but perhaps have an option to use the old way, like if I just want to crop 3 images the same based on how I crop the first one in Photoshop (I hope that makes sense). Also, I never add captions to my images but the seo features add title and caption to the image when imported into wordpress, I would prefer the metadata added to be title and alt text. Maybe there is an option for that I will have to look more. Do you have a changelog for Storyboard? I had no idea it had been updated I just tried to redownload and noticed the version number had changed. It looks like at least one of my issues had been addressed. You should put a blog post when you update. Hi I just bought storyboard 3 and have problem how to used(transferet pictures or link) to WordPress. Any advice? 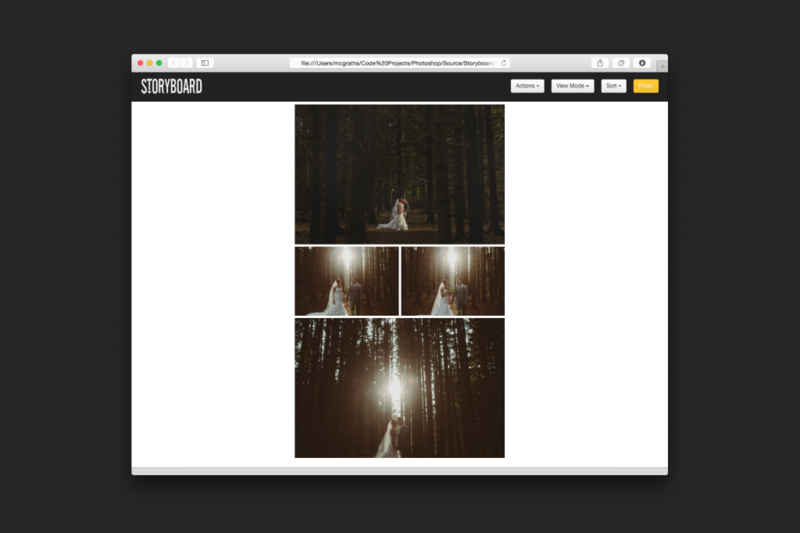 Storyboard simply outputs JPG files – they can be uploaded to wordpress like any other files. Best of luck!